Thai curry, Peking duck and pizza are some popular foods that many people enjoy and consume without a second thought. However, many others are bound by religious dietary restrictions. According to the Islamic faith, Muslims – who make up about 24.1% of the world population as of 2015 – must only consume food that is certified Halal, or permissible in Arabic. In accordance with the religion, halal food must adhere to certain methods of preparation. Some food stalls advertise that they sell Halal food, but to obtain the trust of consumers, they typically need to acquire licenses issued by independent authorities like the MUIS in Singapore, JAKIM in Malaysia and MUI in Indonesia. However, it is possible that these licenses were issued based on outdated information. Some experts say the solution lies in blockchain technology. 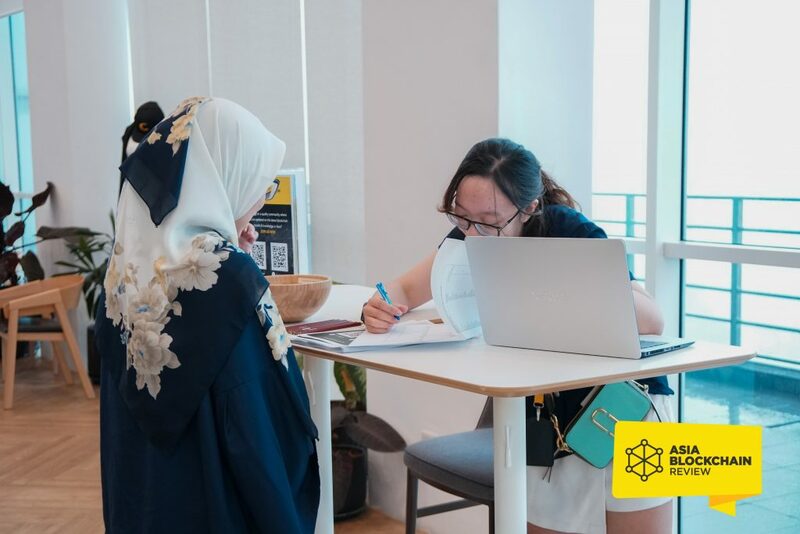 Last week, Asia Blockchain Review held its monthly Unblock meetup in Kuala Lumpur, inviting some of them to share their views on how the technology can transform the Halal food industry in Malaysia. These speakers came from a wide range of backgrounds: Steve Nguyen, Project Director at Fruitchain; Mastura Ishak, Programme Director – Blockchain at MIGHT; Mohammad Ridzuan Abdul Aziz, President at the FinTech Association of Malaysia; and Cris Tran, Country Head at Infinity Blockchain Ventures (Malaysia). Fruitchain’s Steve Nguyen first highlighted the numerous frauds committed by Halal food providers, including passing off non-Halal meat as Halal. Halal fraud can be costly, such as when a customer found pork on his takeout Halal pizza and subsequently levied a £77 million (US$102 million) lawsuit against the pizza place. Steve explained how blockchain can enhance transparency in the agricultural industry. Fruitchain digitally tracks information at each checkpoint, from Harvesting & Packaging and Receiving & Storing in Warehouses to Placement in Shop and Point of Purchase. Powered by Hyperledger Sawtooth, Fruitchain records the information on the blockchain and makes it available for anyone to track. Ridzuan stressed that blockchain should be acknowledged for all its potential, both good and bad, in the same way a knife can be used for cooking or harming another person. He argued that regulators should not label blockchain negatively or discourage its applications in the Halal food supply chain, or indeed, other aspects of society. The tracking applications of blockchain are not merely beneficial for Halal quality assurance, but can also ensure food sustainability. Through these applications, we can identify whether seafood was sourced from overfished populations. Currently, it is a challenge for customers to request such information from restaurant owners, without engaging with various participants along the entire supply chain process. Not all of us may be concerned about whether the food we consume is Halal, but the wider concept of food traceability affects us all. When you have a salad in the future, you will have access to all supply chain-related data – whether it truly came from organic farms and the time it took to get from farm to fork. Blockchain could be vital to enhancing data accessibility for the benefit of all consumers.